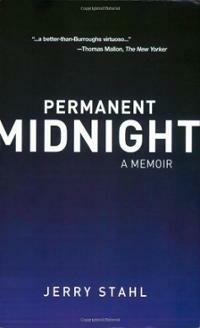 There are books about drugs and then there’s Permanent Midnight. Bitterly funny and ever so accurate, this classic addiction memoir—which was made into a not-nearly-as-good-as-the-book independent movie starring Ben Stiller—couldn’t ever be accused of easing off of any of the darker aspects of addiction. If anything, readers may wish Stahl could add some of the shallow humor he must have been able to access to write all those Alf episodes so that his depiction of heroin addiction didn’t hurt quite so much. But as dark a soul as Stahl’s doesn’t come along often. The fact that he’s this funny as well makes him unlike anyone else out there. And that he’s managed to survive it all and now has a thriving career as a screenwriter? We’re in miracle land. Though the book never broke through into A Million Little Pieces land, critics took notice when it was initially released in 1995. “With an incessant, bitter jokiness that suggests Last Exit to Brooklyn as written by Paul Lynde, Stahl treats us to bathrooms splashed with blood, dawn excursions to the ghetto to score heroin, several agonizing attempts to kick the habit, scads of grindingly depressing solitary fixes, and an indistinct epiphany during the L.A. riots, which coincided with what was apparently his final withdrawal,” said Kirkus while Booklist declared that “Permanent Midnight is one of the most harrowing and toughest accounts ever written in this century about what it means to be a junkie in America, making Burroughs look dated and Kerouac appear as the nose-thumbing adolescent he was. Recommended for the true elite: those who can tell themselves a joke while slitting their own throats.” Even the mainstream outlets got in on the acclaim, with People magazine raving that “Stahl never indulges in the saccharine spirituality of many ex-addict authors.” Permanent Midnight should be required reading for anyone who’s ever suffered through an addiction—or loved someone with an addiction. Just don’t say we didn’t warn you.